Under Construction. Corner Homesite overlooking Pond! 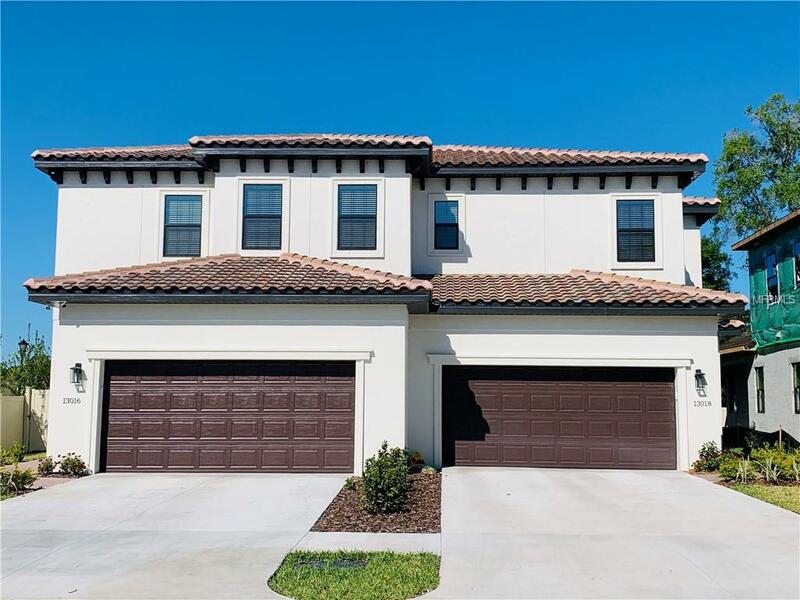 The Cordoba floorplan, a Mediterranean two-story Villa is 2,396 SF features 3 bedrooms, huge master suite with double door entry, loft, oversized laundry room, 2.5 baths, and 2 car garage. 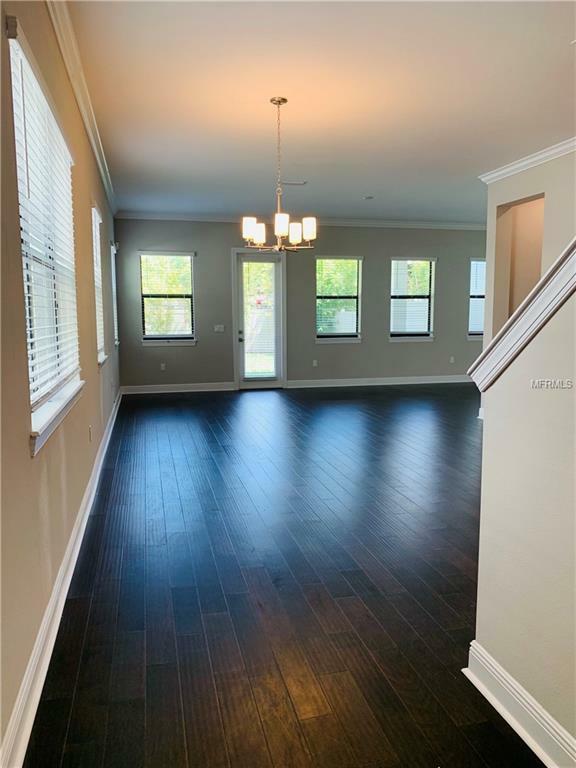 Gorgeous 5 plank wood floors in the foyer, family, dining, and kitchen! 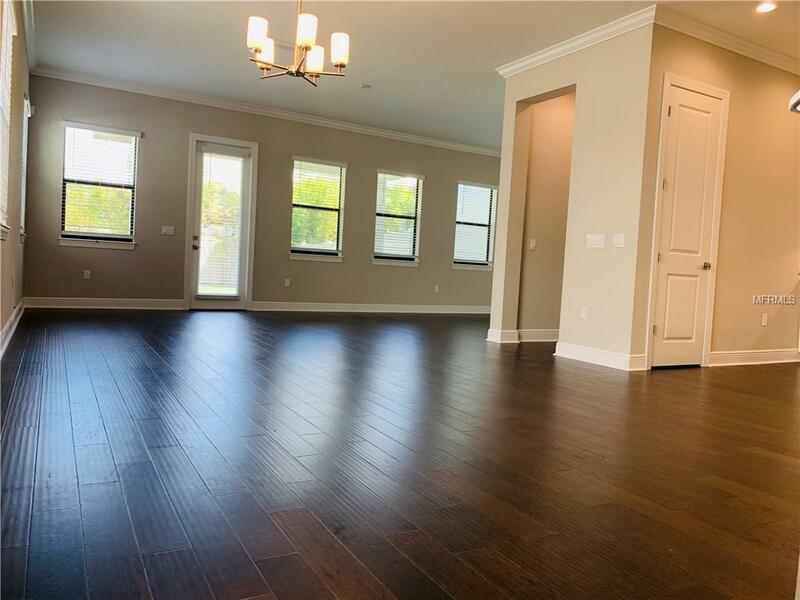 Grand 10 high ceilings are found throughout; lots of windows give this home a light and airy feel. Two panel smooth 80 interior doors throughout, and 5 crown molding on the first floor. The open gourmet kitchen features a huge island, 42 full overlay Euro Style cabinets, cove crown molding, soft close drawers, and choice of hardware are all included! Granite countertops in the kitchen with stainless steel appliances with French door refrigerator. All full baths feature granite tops, 18 x18 tile, and frameless shower enclosure in master bath. The covered lanai is great for entertaining and grilling out. This gated community is close to all the best restaurants & shopping in Carrollwood. 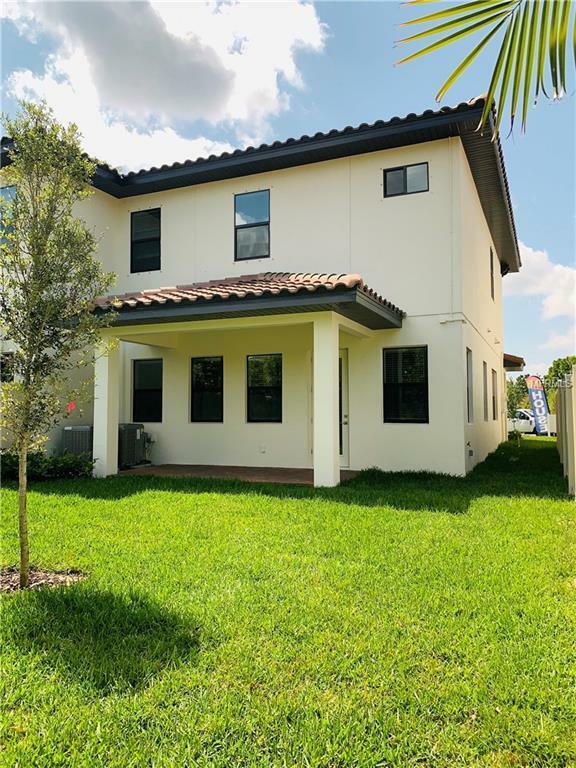 The Carrollwood Village Community Park with 50 + acres of nature preserve, walking & jogging trails, dog park, picnic pavilions, exercise stations, playground, and splash park are just a short walk! All interior selections may still be made by buyer, CALL TODAY! Additional Lease Restrictions The Association Shall Have The Right To Require That A Uniform Form Lease Be Used By All Owners. Listing provided courtesy of Bnch Realty, Llc.